The problem with most traditional marketing is it’s lack of focus. As opposed to ‘spray and pray’ marketing, local online marketing is focused on marketing your products and services to those who are actively looking for them in the area where your business is. This results in much more effective, targeted advertising. That sounds great, but how do I do that? Social Media – Facebook, Twitter, Pinnterest, Yelp, and others. You can choose any or all of these, M5Media will consult with you and put you on track for success in all of these areas depending on your needs. 82% use search engines like google. Think about that… think about what that means to a business. It means that if you do not have an up-to-date and attractive business website, and you are not reaching out through local search – you are missing out on a huge chunk of business that is going to your competitors. Setting up a special offer to reach out to customers on computer and mobile phones is crucial here. With the rise of groupon and similar sites, customers want to feel they are getting a deal. M5Media can get your business into the databases that mobile phones and car GPS systems use as part of our local SEO package, can you imagine the possibilities? 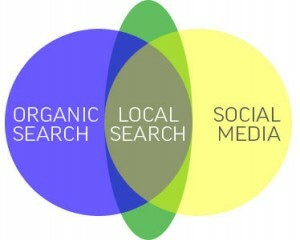 This is a graphic representing the main spheres of Local Search. There are many more, but the most influential of them are shown above. This is where we step in to get your business profile out to these places and get more local business. Indirectly – These listings on other major portals or ‘citations ‘count as ‘votes’ for Google’s algorithm and help boost your rankings in the organic listings on Google’s Search Portal. This also influences the effectiveness of Search Engine Optimization efforts. You’ve probably heard of the saying ‘the whole is greater than the sum of it’s parts’ this is a good example of that. By getting your business profile out on the ecosystem, you create what are called ‘citations’ which direct traffic to your site, enhance your efforts in SEO, and push more people to your website’s landing page. The combination of everything we have done for this company results in a #1 Google Organic Ranking for many keywords, and a #1 Local Listing ranking for keywords that trigger local search results. You may saying to yourself, wow – this is all interesting but how can it help me? The answer to that is that getting business through the internet requires a multi-faceted approach that includes some or all of these avenues. M5Media is your partner in figuring out a web marketing plan that works, is cost effective for your business, and provides great ROI. The problem with most traditional marketing is it’s cost, lack of targeting, and ROI. By harnessing the power of the web, you can put your marketing dollars to better use. As opposed to ‘spray and pray’ marketing, online marketing is focused on only marketing your products and services to those who are actively looking for them, resulting in much more effective, targeted advertising. If this is still slightly mysterious to you, click here to see a video on different aspects of internet marketing. This video is a little older so it does not include the search engines latest push for local, but the video still contains good information. Click here to View. But we don’t stop there!! We also will follow up with you each quarter to keep information about your business current and review your statistics and overall marketing strategy. We can make recommendations and changes for your website, and get any special offers you have out on the web to distance you from your competitors. We also partner with some social media companies and will work with you on pushing content out to social media channels like facebook, twitter, and pinterest. I hope this has developed for you a foundation of how the web works for businesses. Back in the first month the internet was born this was realistic, some people just surfed the web to see what they could find, and your site would pop up in the rudimentary search engines of the day because there was virtually no competition – sorry but those days are long gone! To help promote your site, here are some tried and true ways to build traffic to your site through the online community. Remember, todays online browser can be tomorrow’s customer if you do your homework. Write a page title – this is the first thing that search engines look at when viewing your page, it’s also what appears in the top left of your browser window, don’t forget it! Include your keywords in the header (h1, h2, h3) – Browsers interpret these tags as having more importance than regular text (hence the ‘h1′ which means ‘header 1′). 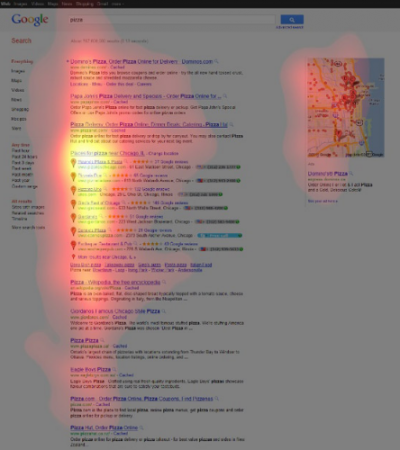 Use these tags to not only grab attention for what’s to come, but to impress search engines as well. Use keywords in hyperlinks – Google especially puts emphasis on the words used in a link (what is blue or underlined). This is seen as a ‘gateway’ to another page or location and the text used describes that location, hence making it more important to the search engine. Promote your local business using google – This is a must do! It amazes me how many people don’t realize the business potential in this. 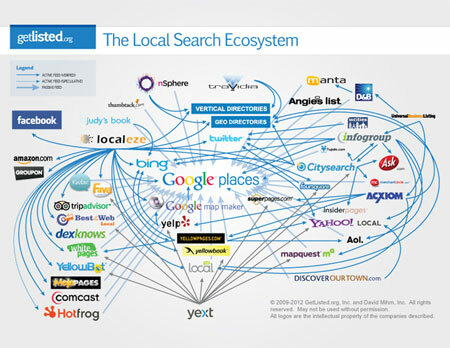 Every time people look at a Google Map or search an area on a map Google shows what it thinks are relevant businesses. If your listed in that area, you get one of those balloons with your name, address, and phone number. Google will send you a postcard in the mail which you have to mail back to them to verify that you are a local business. This service is FREE (minus the cost of the stamp and 3 minutes of your time). Business Blog – On the internet content is king as the old axiom goes. What better way of building solid online content about your business can you think of than blogging about it? Press releases, new projects, industry developments are all great ways to build content. It also helps a lot in keeping a site fresh, downside is you have to be semi-diligent about it. Nobody wants to read a blog whose last post was in 1999. It builds ‘real’ traffic to your site through click-throughs from directories in your field. Directory listings often show up in searches and this can be a great way to build traffic. It also builds ‘votes’ for your website. The way this works is fairly easy to understand, when someone links to your site they are in essence ‘voting’ that your site is a desirable destination on the internet. Google’s and other search engine algorithms see this and positively consider it when ranking your site. Include your URL on all company media – This is a no-brainer and the best and easiest way to promote the online component of your business. Radio commercials, TV ads, your company vehicle, pencils, pens, business cards (especially those!) and stationary should all have your web address. Develop something for free – Everybody wants something for free, especially on the internet it seems. Develop a part of your site that offers free stuff. Maybe a free example floor plan if your an interior designer, a free quote service if your a contractor, the always popular free newsletter subscription. These services are technically free, but they help to bring you business which more than makes up for the effort and cost you expend to create them. Email Marketing – Get the Word Out… but not through SPAM! Everybody hates SPAM but there are legitmate and effective ways to build business through email marketing. Traditional Mail or Electronic? – We Vote Electronic! It’s cheaper, faster, and much easier to implement. M5Media has a newsletter system that comes with a custom template that matches your website and marketing material! Email newsletter marketing is an industry in itself so look to this site in the future for more information and future articles about this subject. Offline marketing is just as important as the online stuff.